The promises of Spring are all around us. For me, the month of March is that transition month from winter to Spring. By the end of March, the plant life that has been hibernating all winter is well above ground. I love this time of year. A time of rebirth and renewal. Enjoy! I just finished conducting a Webinar for the Gulf Coast Collectors Association. My topic was “How to Increase Engagement Through Greater Accountability.” It dovetails well with Part III of our series on Accountability. I hope you have found this series, and this final entry of value. A good friend, added to this discussion by reminding me that one of the most important parts of accountability is balance. That accountability and support go hand in hand. Learning to be more self-responsible and self-accountable is rarely a straight line. We all need support during these times. Thank you, Richard for reminding me. As I’ve said many times, I really appreciate your input. It enriches what I know and what I write. By doing so, it adds value to what we all read. Thank you. My experience is that we all do better when we are accountable. 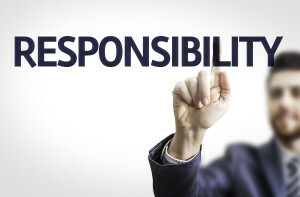 Accountability often starts with responsibility. What am I responsible for? Am I clear about what is expected of me? One of the things that I see is that we are good at expressing the “what,” and the “how” if that’s necessary, but we may leave off the “by when” if that is an expectation. Clarity is the key component in setting people up to be successful. If we are the ones responsible for assigning a task, project, etc., it is imperative that we take time to think through all of our expectations before we have the conversation. It is critical that you confirm that what you want is fully understood by the person responsible for completing the task, project. I have found that having them tell me their understanding of what I want helps to confirm all the expectations. Putting it in writing is helpful, particularly when the assignment has a number of ‘moving parts.’ The extent to which you go to get confirmation of their understanding often depends on the size of the assignment. Another key piece in setting expectations is to communicate what you expect as an outcome/result. Too often the other party may not fully understand what they are supposed to achieve. My other encouragement is that unless the individual is unfamiliar with the task, let them figure out the “how.” It may not be the way that you would do it, but as long as it is an acceptable result you are encouraging their creativity and ownership which helps to energize them. If the assignment covers a longer period of time (i.e., beyond a week or two), it is advisable to set up a specific time to receive a status update. Communicate this date/time during the initial conversation about the assignment. Before we get into the conversation you have when it doesn’t go well, there is one overarching component that is key to organizational accountability. Do I, as leader, hold myself accountable to the expectations for my job? Do the leaders at the highest levels of the organization hold themselves accountable? It can be quite humbling, as a leader, when you put yourself on the same level as everyone else for being accountable – particularly if you are part of a status meeting where ‘everyone’ must report. That ‘modeling’ is also the most powerful part of creating an organization that has a culture of accountability. So, what do the coaching conversations look like? The chief ingredient for success is that the person who was responsible for the assignment have the opportunity to self-evaluate how that assignment is going, or went. The structure of the conversation starts with a short discussion of what was Wanted. The responsible party reiterates what the desired goals/outcomes were for the assignment. The next piece of the conversation is how what they are/were Doing helped or hurt them reach the goals of what was wanted. The responsible party will Evaluate how their behaviors helped or hurt the achievement of the results. If the results were less than what was expected, then there is a time to explore what the Plan needs to be to achieve the desired results the next time, or what adjustments need to be made to the plan to insure the results are achieved. Mike reiterates said goals. You make a couple of minor additions to what Mike said. Depending on the culture, Mike may make excuses, but what you want to get to is for him to ‘own’ the results and to offer what changes need, or needed, to be made to achieve a different outcome. Depending on the size of the project, and how catastrophic the results were, this may also be the time to offer your support and encouragement – even if it didn’t go well at all. We all need to learn and be given the chance to ‘fight another day.’ There is a balance between accountability and support. Sometimes, what someone learns from what they didn’t do is the key to their future improved performance. We all need the space to make that happen. The power of the WDEP conversations is in the self-evaluation. The motivation to change comes from understanding where I am, and where I want to be. The greater the gap between the two the more the motivation. These conversations are more about what we ask, not what we say. I hope this exploration of individual and organizational accountability was of value for your journey. I have been using this coaching model for 20 years – at home and in my work. I have found these tools incredibly powerful while they respect and protect the relationship with the other person. Contact me if you would like to talk further about “how” or “why” to use these tools. Coaching – Coaching is the fastest way to take you to another level of effectiveness. If you are looking for a higher version of yourself or your organization, that’s what we do.